Happy New Year. If you’re like most people, we’re sure you’ve already started fulfilling your New Year’s resolutions. At Buffalo Bayou Partnership, we’ve started working on our list too and the coming year is full of new goals and projects that will help us continue our transformative work along Houston’s historic waterway. Here’s a sneak peek of what we have in store! For the past two years, we’ve been focused on developing a master plan for Buffalo Bayou’s East Sector. On-the-ground due diligence, rigorous technical analysis including a hydrological study, and a framework to guide our land acquisition program have all been part of the work we’ve accomplished. 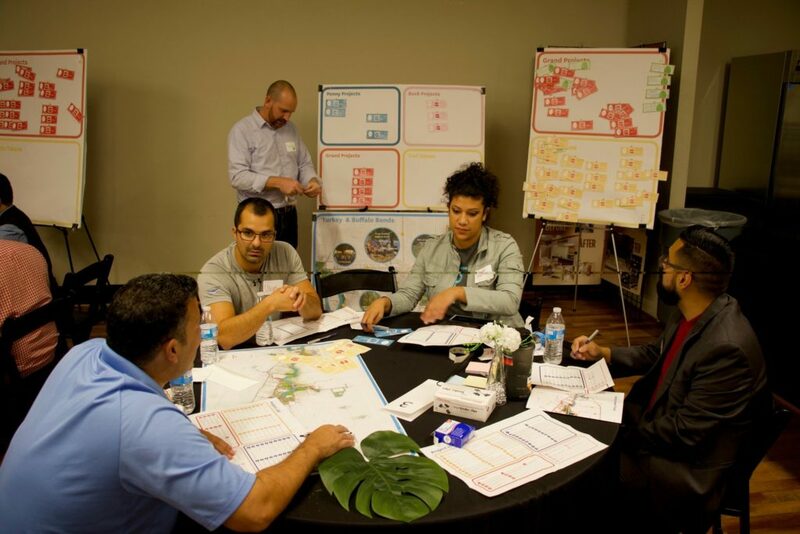 We spent a large part of 2018 sponsoring a robust community engagement process where Fifth Ward and East End residents shared their desires, dreams and concerns for their neighborhoods. In late spring, we’ll be releasing the final plan. We’re excited about the vision that will guide our park and trail projects east of downtown over the coming decades. Stay tuned! 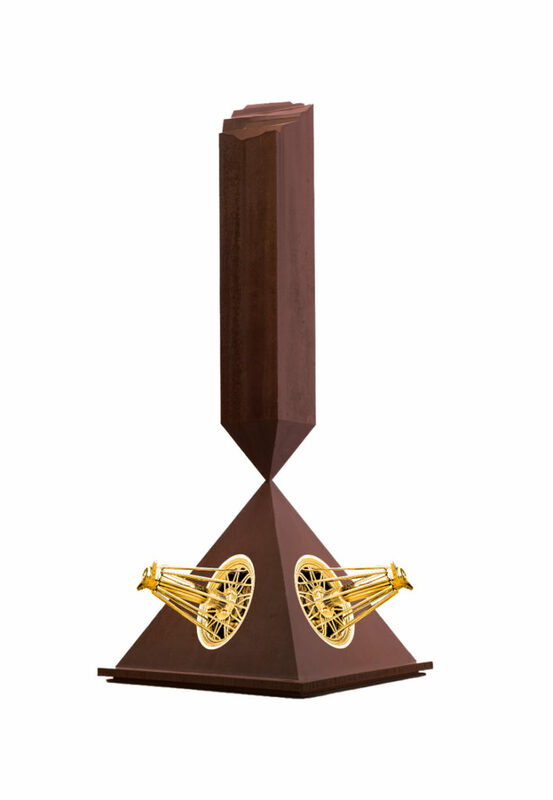 Broken Obelisk Elbows, Phillip Pyle, II. BBP is honored to be part of the High Line Network, a coalition of infrastructure reuse projects across North America. In collaboration with Friends of the High Line, the Network’s founder, BBP and three other Network members are presenting New Monuments for New Cities, a year-long public art project. Houston is the launch-site for this unique exhibition that will travel to Austin, Chicago, Toronto and end in New York on the High Line this fall. Each participating group invited five local artists to create proposals in the form of posters that respond to the evolving nature of monuments in our country today. The artists in the exhibition have designed monuments that question the format itself and envision its future. Participating Houston artists are: Regina Agu, Jamal Cyrus, Delilah Montoya and Jimmy Castillo, Phillip Pyle, II, and Nick Vaughan and Jake Margolin. In addition to the exhibition which will be on view in Buffalo Bayou Park from February 20 until April 30, BBP will present complementary programming and events. In a few short weeks, you’ll be hearing more about New Monuments for New Cities. We want to keep our parks and trails growing and Buffalo Bayou flowing. That’s why we are launching a membership program in 2019. Members will not only provide vital support to help our organization continue to care for the bayou but will receive exclusive benefits including invitations to member-only events and special discounts on merchandise and tours. We also will continue to enhance our young professionals membership group, The Currents. We hope you’ll hop aboard and become a BBP member when the program is unveiled this spring. We began expanding our walking tours in 2018 and will be offering even more in the coming year. 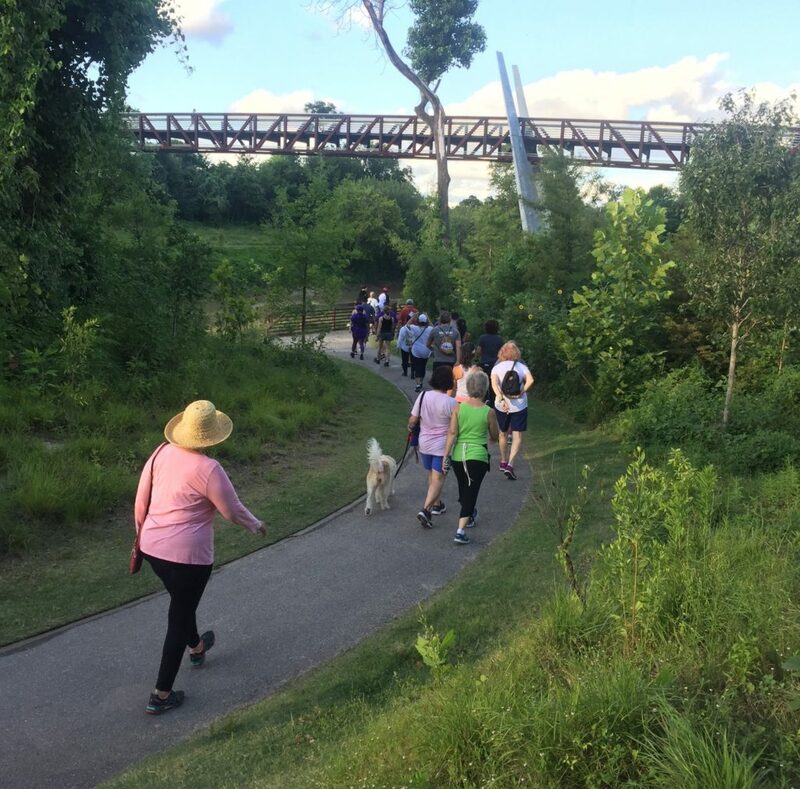 If you want to learn about Buffalo Bayou’s natural landscape, history and public art or just want to get some exercise, we have a walk for you. You’ll also want to sign up for a boat tour. Our upcoming wine tastings and Luck of the Irish tours are sure to be sell-outs. Check our website and monthly e-newsletter for our offerings. This spring, in cooperation with the Texas Department of Transportation (TxDOT) and Houston Parks & Recreation Department, we’ll be opening the Clayton Homes Trail, just east of I69. 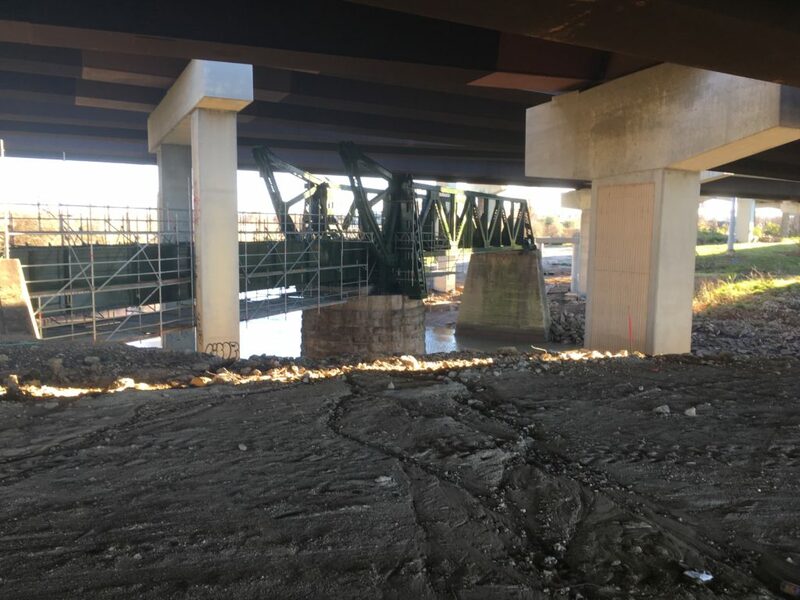 In addition to the trail, a pedestrian bridge linking the north and south banks of Buffalo Bayou is being constructed. We also will break ground by early summer on a critical link in the trail system downtown. 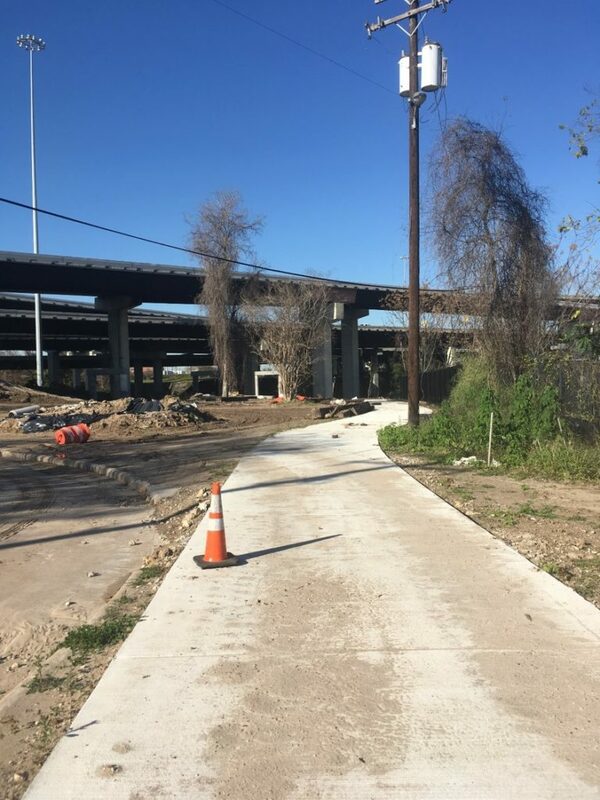 With these trail segments we will be one step closer to connecting Buffalo Bayou Park all the way to Lockwood Drive in the East End. As you can see, BBP’s New Year resolutions are ambitious. We hope you will take part in our mission-focused projects and activities, and join us as we continue our long-standing work to transform Houston’s greatest natural resource. We look forward to seeing you out on the bayou.